The ongoing challenge for the property and HCP’s creative team has been to establish the property as a unique destination resort while closely adhering to the established Starwood brand standards. Throughout the firm’s history with SSK, the team has retained a close relationship with the management of the resort, building a parallel marketing program supplementing the Starwood corporate national campaigns. Micro-managing specific target guest origins, defining meeting and convention potential, and building international programs reaching far beyond the Starwood corporate standards continues to contribute to the hotel’s leadership in the Florida market. 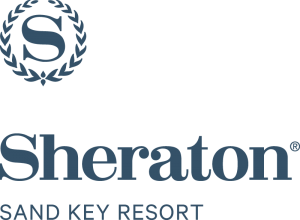 The Sheraton Sand Key Resort is a Starwood property located minutes from Clearwater Beach. The property offers 390 guest rooms and suites overlooking the Gulf of Mexico and Intracoastal Waterway. Over the past 30 years, HCP has provided SSK with marketing, interactive, and creative services and support. A fundamental component of HCP’s role has been the firm’s leadership in providing marketing tools and directions beyond those provided by the Starwood brand. HCP’s role continues to expand, encompassing a highly focused independent website, unique marketing programs honing in on guest loyalty, and constant tweaking of in-house marketing to stimulate sales. Much of the planning and adjustments are the result of secondary research which is on-going, inclusive of monthly snapshots of the brand performance on the web and through certain social media targets. While much of the activity is focused on expanding the hotel’s presence beyond the Starwood franchise mandates, the company also serves as the resort’s “brand police,” working closely with Starwood executives to assure compliance with all mandates of the franchise. In spring of 2015, in celebration of the resort’s 40th anniversary, the resort completed a multimillion dollar renovation providing the opportunity for significant industry attention. Concurrent with the anniversary, HCP launched a state-of-the-art website and orchestrated significant public affairs attention to the hotel. The new site utilized studies of prior site response analytics to better target consumer interest while launching new graphic approaches and enhancing visual imagery. In keeping with the research on user habits, the new site offers a greater emphasis on the destination, inclusive of significant coordination with area attractions and amenities. The hotel enjoys one of the highest occupancies in the region, and national recognition continues to reverberate based on the hotel’s marketing and extremely positive management personnel focused on guest satisfaction.